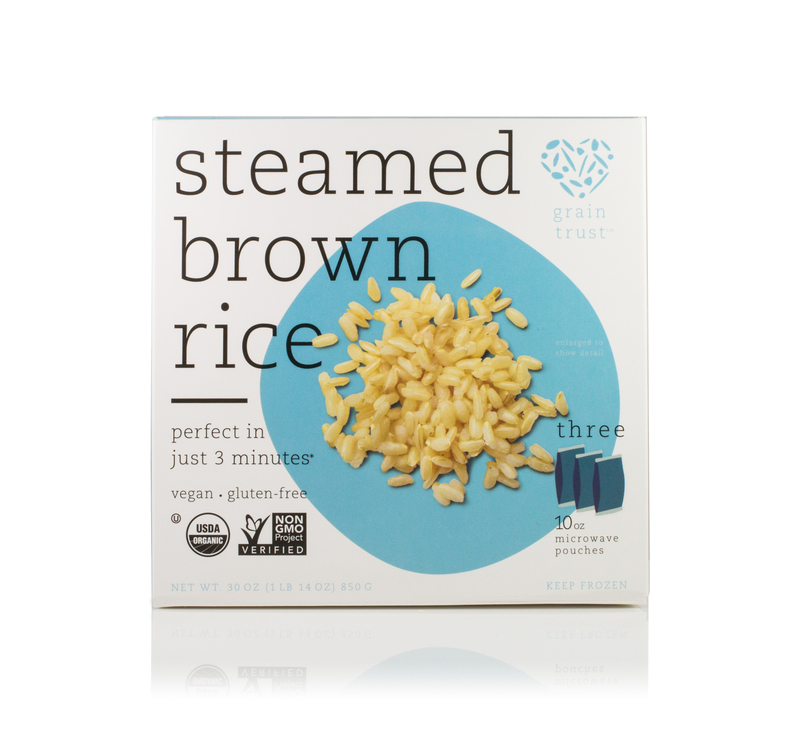 1Cook the Grain Trust Brown Rice according to the packet instructions. Set aside in a large bowl to cool. 2In a small bowl or blender whisk dressing ingredients. 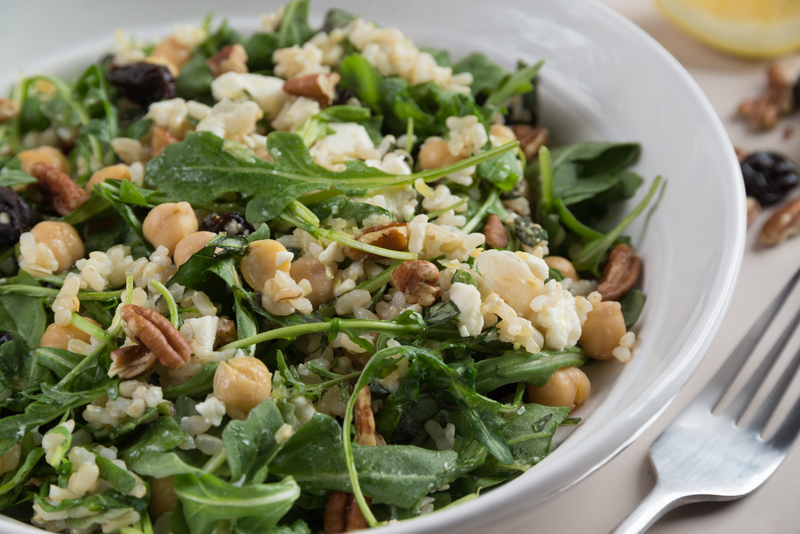 3Add the arugula, chickpeas, feta, basil, and cherries to the bowl with rice. 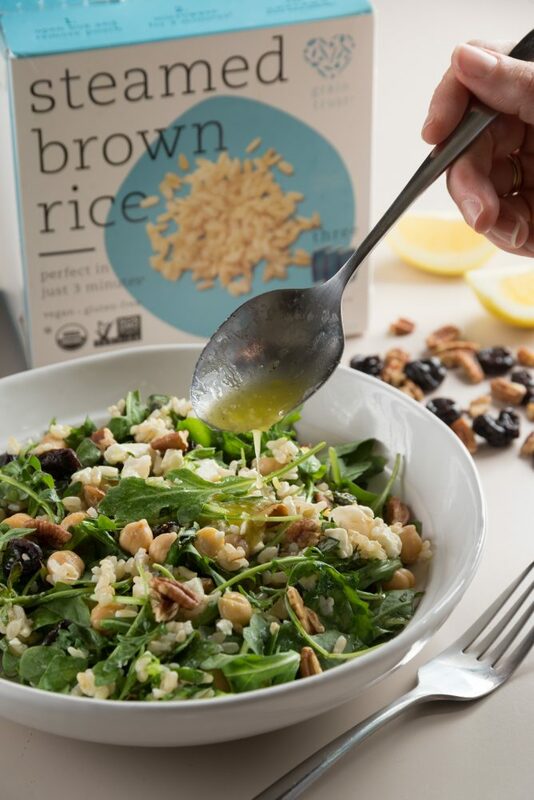 Add the dressing to the arugula brown rice bowl. Stir to combine. Serve immediately.